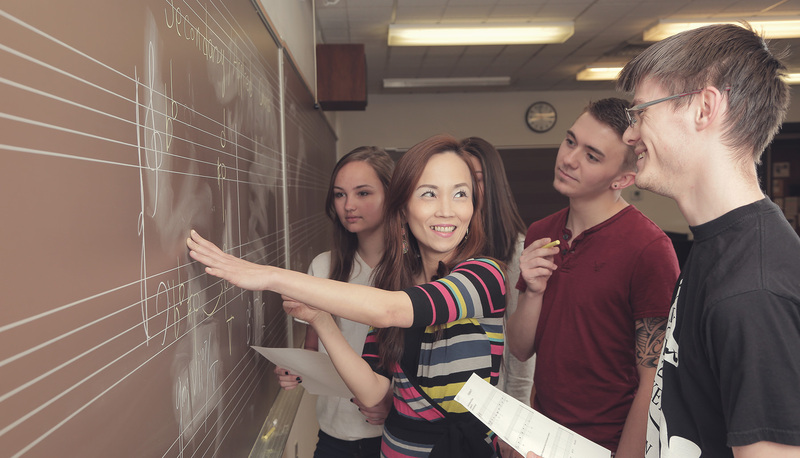 The School of Music, Theatre, and Dance offers Summer Studies in Music Education as continuing education for music educators or students working toward a Master of Music Education degree. Our summer courses include Orff Schulwerk, Dalcroze Eurhythmics, Conversational Solfege, First Steps in Music, and Drumming. Courses may be taken for graduate credit. We welcome participants from near and far by offering on-campus housing. Reservations must be made in advance. Housing is in four-bedroom, two-bathroom apartments. If there are 1-2 people in the apartment, the cost is $45 per night. With 3-4 people, the cost is $35 per night. Questions? Contact Joani Brandon at 765-641-4547 or jlbrandon@anderson.edu. This online course shows how to take lesson plans and create coordinating notation and PowerPoint files. You will learn to place notation into Word documents (lesson plans), create notation icons for use in PowerPoint, and animate icons to encourage active involvement by all in the classroom. You may choose to work with Finale or Sibelius notation software. Level I Orff training at an accredited program is required to enroll in this course. For credit: $400 for one hour of graduate credit. You pay $50 at the time of registration, and the balance is charged to you by Student Accounts. No credit: $300 (NO graduate credit). You pay the full cost through the registration software. You can pay all at once or using installments. Orff Schulwerk, Levels I, II, and III - July 8-19, 2019 - 8:30 a.m. – 4:45 p.m. Participants will sing, play, move, and improvise using the Orff Schulwerk model. Each level includes classes in pedagogy, movement, recorder, ensemble, and special topics. This approach is based on active learning and developing creative skills in children. These courses are approved by the American Orff Schulwerk Association. • Level I — This course is open to all music teachers and senior undergraduate music education students. • Level II — At least one year of teaching experience is required before taking Level II. If you completed Level I prior to 2013, you will need to re-take Level I. • Level III — At least one year of teaching experience is required before taking Level III. For credit: $1,200 for three hours of graduate credit. You pay $50 at the time of registration, and the balance is charged to you by Student Accounts. No credit: $885 (NO graduate credit). You pay the full cost through the registration software. You can pay all at once or using installments. Participants will be introduced to current research findings and the implications of that research on the development of an early childhood music and movement curriculum. Materials and activities will be presented for children from birth to age 7. Collecting materials, designing teaching strategies, lesson plans, and yearly curriculum, as well as developing and promoting an early childhood program will be covered. Active participation in both music and movement activities will be the basis for most instruction. For credit: $800 for two hours of graduate credit. You pay $50 at the time of registration, and the balance is charged to you by Student Accounts. No credit: $625 (NO graduate credit). You pay the full cost through the registration software. You can pay all at once or using installments. Humor, love, and exuberance are universal. Community music making builds a bridge where we are offered a glimpse into another culture and are delighted to find ourselves looking back. History, spirit, and heart are present in a country’s musical culture. This knowledge can lead to greater awareness and global understanding. This lively workshop will explore a dozen cultures through folk dance, rounds, passing games, play parties, and clapping games. Join us as we meet wonderful people through the gift of their music. This class focuses on a wide variety of new rhythmic training activities and repertoire designed to further elementary and middle school students’ and teachers’ rhythmic expertise. Areas covered every day will include percussion ensemble and technique, improvisation, movement to build beat and rhythm skills, rhythmic exercises, body percussion, and form. There will also be sessions on the teaching process, advanced (adult) conga technique and ensemble, composition, meter, and polyrhythms. This class will be capped at 20 participants.